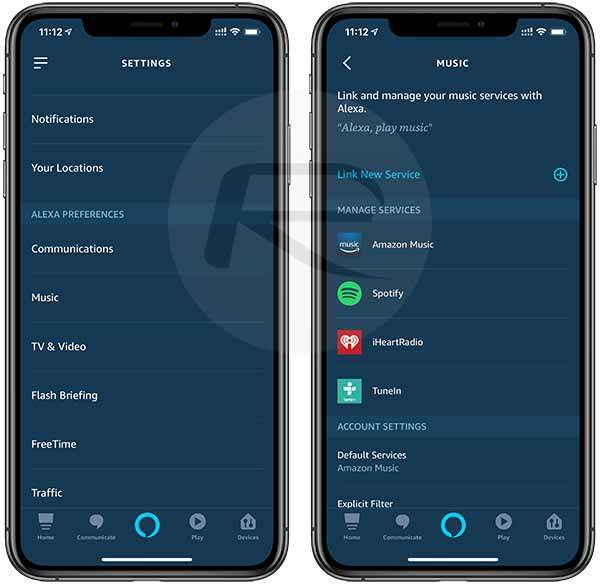 As you may know, Apple Music was announced to be arriving on Amazon Echo devices, which means that owners would be able to invoke the service using Alexa voice commands. Well, it’s here now, so we’re going to take a look at how to set it up and how to make it the default music service for Echo hardware. It’s pretty self-explanatory what we are trying to achieve here, so, without further ado, let’s dive right it and take a look at this in two stages. In order to make this work, you’re going to need to have at least one Echo device, the Amazon Alexa app installed, and, of course, an active Apple Music subscription. If you don’t have a Alexa device yet, you can get one from here. Step 1: You will need to have the Alexa app installed on your smartphone. Launch the app and tap on the Menu icon, represented by the three horizontal lines in the top corner. Step 2: Select the options for Settings from within the menu structure and then choose Music > Link New Service. Step 3: Select the Apple Music icon which will now live alongside options like Spotify and Amazon Music. 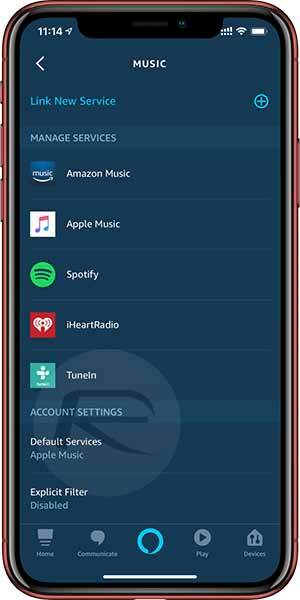 Step 4: You will then need to provide the authentication page with all necessary details pertaining to your Apple ID and Apple Music subscription in order to bring Apple Music into the app. Step 1: Repeat the initial steps above (Menu -> Settings -> Music). Step 2: Choose the Default Services option towards the bottom of that screen. 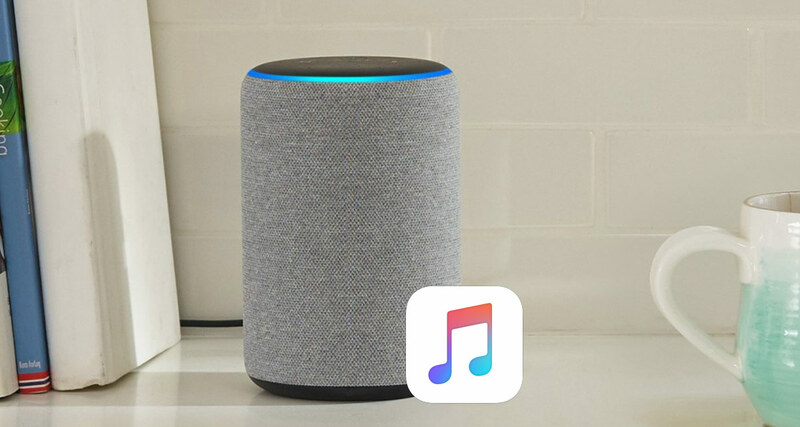 Step 3: Make sure that the Apple Music option is checked as the default music provider for your Echo devices. And, there you have it. 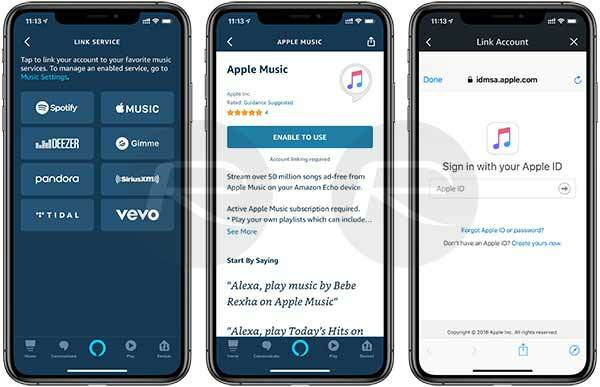 The Apple and Amazon partnership has resulted in you being able to add Apple’s music streaming service as not only being accessible on Echo and via Alexa but also as being the default music streaming service of choice. You will now be able to play music on those speakers via Apple Music without having to use your smartphone as a streaming device. You will also be able to access all of your library music and any personal playlists that you have created within Apple Music across all devices. It better! Not paying like £300 for a HomePod!